← How the North Won the Civil War? 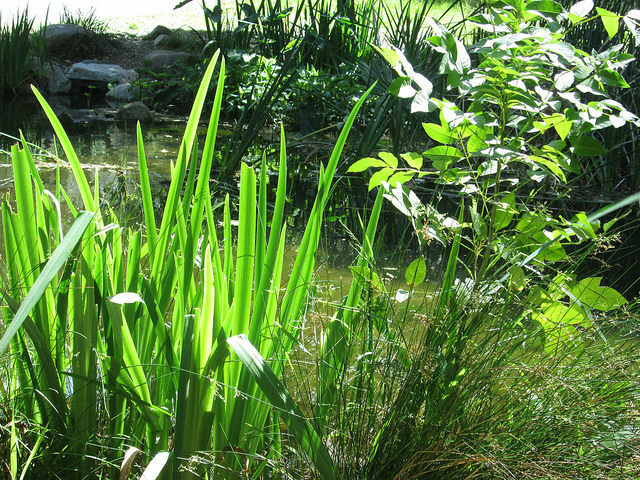 This scene at Descanso Garden’s Mulberry Pond represents to me nature at its most lovely. I enjoy sitting there in the late afternoon and watching the lengthening sun shine through the leaves of the tree and the reeds growing from the pond. That luminous shade of green more than anything else makes me feel at peace. I usually let Martine walk around the park while I thinking about my inhaling and exhaling, all the while small children try to throw sticks and stones into the water. No matter: It’s all good. One doesn’t always find this lush configuration of plants and sunlight in Southern California. More frequent are dusty botanicals that merely look dark. Not that Descanso has a team of caretakers dusting and polishing the plants—but that bench under the mulberry tree is one of the secret places in my heart. And it’s one of the reasons I keep returning to the park in La Cañada-Flintridge. This entry was posted in meditations and tagged descanso-gardens, mulberry-pond, sunlight. Bookmark the permalink.